World-renowned, the Denver International Wine Festival is one of the most luxurious celebrations of wine, food, and entertainment on the planet. The apartments for rent in Denver, CO give you a front row seat to this year’s festivities. If you’re planning to attend, then here’s everything you need to know. What is the Denver International Wine Festival? 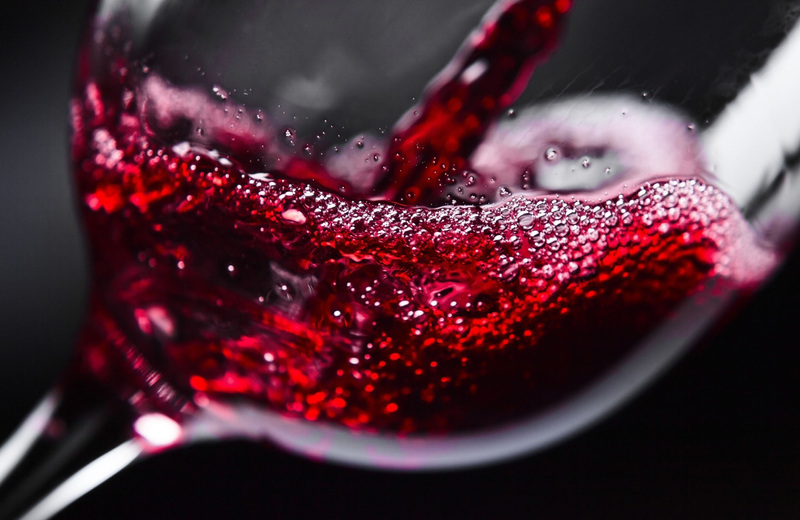 The Denver International Wine Festival is a three-day event that showcases the largest selection of wines from around the world in numerous Grand Tastings throughout the Rocky Mountain region of Colorado, namely the city of Denver. Thrillist continually ranks this event as one of the Top Fall Wine Festivals to attend, while Fodor’s has named it a “Top 10 Can’t Miss” amongst wine events in the United States. This celebration of wine and food is a renowned the world over, drawing in thousands year after year. As part of the event, other locations and wineries in the area join in the fun with additional tastings. If you live for the finer things in life, love wine, or want to begin expanding your palette, there’s no better place to be. Christopher and Darcy Davies, the minds behind Wine Country International Magazine, found their home in Colorado back in 2003. Thanks to the state’s central location and international airport, the couple was able to travel the world in search of the best wine regions, food, and luxury accommodations. During their travels, they met Aurelio Montes of Vina Montes Wines in Chile. Montes was perplexed by wine culture in Colorado. He thought it was strange that festivals celebrating the drink were always held in the mountains, and the Davies agreed. Together, the three began plotting a new kind of festival. They set their sights on the historic Oxford Hotel in Denver’s Lower Downtown (LoDo) district, partnered with McCormick’s Fish House & Bar for catering, then hosted the first international wine festival ever to be held in the city limits of Denver. The initial festival showcased 350 premium wines from seventeen countries (including premium reserve bottles), gourmet food samplings, and an atmosphere that made it a smash hit amongst guests. Mayor John Hickenlooper was so thrilled with the event that he declared the week “Denver Wine Week,” encouraging wineries from all over the metropolitan area to join with tastings in the city’s top restaurants. Each year, thousands flocked to the city to enjoy the international festival and stay in Denver for the week to enjoy more local wines. It didn’t take long for the nation to recognize the Davies and Montes’ work as one the most prestigious festivals in not only the United States, but around the world. With their continued success, the trio moved the festival to its central locations at Mile High Station and expanded the time-frame to a three-day event complete with VIP perks, educational seminars, and guided tastings. The festival quickly attracted renowned individuals within the wine and food industry. Daniel Johnnes, world renowned sommelier and wine director for Montrachet and the Myriad, hosted the 2006 event. Named as 2006’s Outstanding Wine and Spirits Professional of the Year, Johnnes drew a lot of attention to this international festival. Soon, Wine Country Networked created a chef’s food and wine competition as part of Denver Wine Week. Called “The Taste of Elegance,” this event paired 14 restaurants with 28 award winning wines. Over 440 “foodies” attended the event where the International Festival showcased over 400 wines from 19 countries (including Korea). As time went on, the festival never lost its luster. Numerous venues throughout the city host the main event, with the Denver Marriott Westminster providing the entirety of its space to this celebration. Guests stay in world-class luxury while tasting the finest wines from around the world and sampling cuisine from Denver’s immense fine dining scene. If you live in the city of Denver, then you’re all set to enjoy this outstanding festival. If you plan on flying into the city, then staying at the Marriot Westminster starts at $129 a night during the event. The cost from there depends on what you want to see and do. This year’s festivities begin on Nov 1 until the 3rd, with the Pairsine Chefs Fine Food and Wine Pairing Competition. Ten chefs face off as they create gourmet food to pair with gold medal awarded wines, competing for the People’s Choice Awards. A general admission ticket ($120) allows you to taste twenty unique combinations, while a VIP ticket ($185) includes a meet and greet with the chefs along with premium cocktails and a seafood bar. The Grand Tasting of International Wines and Food follows on Friday, with tickets ranging from $95 to $350. Over 80 wineries will host tastings as guests enjoy a wide range of decadent food, a silent auction, and a fine art gallery. Out of all three events, this is the largest. Finally, there’s the Julie and Julia Champagne Tribute Luncheon at the Omni Interlocken Hotel in Bloomfield. A screening of the blockbuster movie is followed by a luncheon inspired by Julia Child herself. A silent auction takes place afterward, benefiting the non-profit There With Care. This organization provides various fundamental medical services to children and their families, especially those in dire straits. A special tasting of Spain’s Torres Brandy concludes the festival. Placing you at the heart of this world-renowned festival is The Palmer, a complete shift in urban apartment design. These homes maintain the tension between art and technology, luxury and rustic. Their new aesthetic creates a statement of stylistic comfort that harkens back to an older time. Distinctly local, mountain, and modern, The Palmer is a living contradiction. Each home in this Englewood location places you within moments of the best that Denver has to offer while providing the finest in modern amenities and décor. Enjoy 9.5 acres of landscaped expression, resort-style amenities that cater to your lifestyle, and interior features that elevate your sense of living. We invite you to experience life in the Mile-High City in an entirely new light, one that redefines the concepts of luxury living. Welcome to the perfect blend of historic and modern Denver. Welcome to your new home at The Palmer.